Ettlinger has been developing and manufacturing injection molding machines and filtration systems ever since 1983. Our expertise in these technology sectors is unique worldwide. “Good is never good enough” – that’s our guiding principle. Every single day, it motivates us to continuously perfect our products and services and to excite our customers’ enthusiasm again and again with innovative solutions. 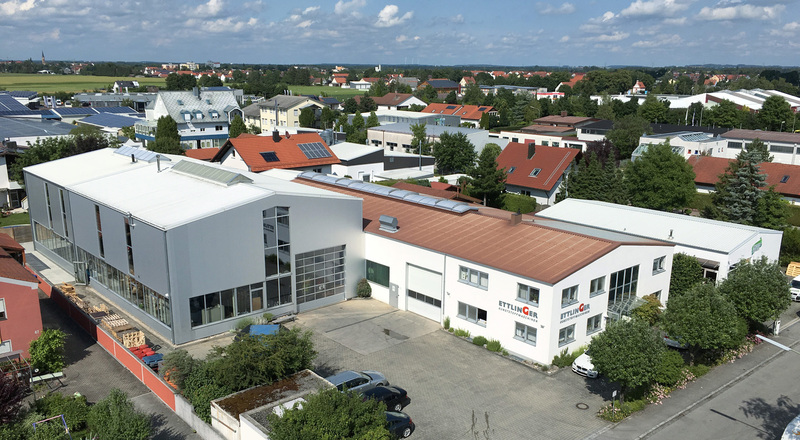 From the Ettlinger headquarters in Königsbrunn (Bavaria, Germany) and our American sales and service subsidiary in Atlanta (Georgia) we operate all over the world. A dense network of international sales partners connects us to our customers around the globe. Roderich Ettlinger founds the company with the aim of manufacturing injection molding and customized machines. A new production shop is built. The patented ERF melt filter system is launched in the market. Roderich Ettlinger makes way for his son Thorsten and Volker Neuber. Ettlinger North America LP opens in Atlanta. The new ECO high performance filter for PET and the ERF 500 for throughputs of up to 6000 kg/h make their debut. Ettlinger’s offices and production facility in Königsbrunn are extended and modernized. Plans are unveiled for the new Application Center. Ettlinger acquired by Maag. Switzerland-based Maag Pump & Filtration Systems is a worldwide leader in the manufacture of gear pumps, pelletizing systems, and filtration systems for demanding applications in the plastics, chemical, and petrochemical industries.